This is the most beneficial exercise for daily workout schedule. regular physical exercise is good for body. 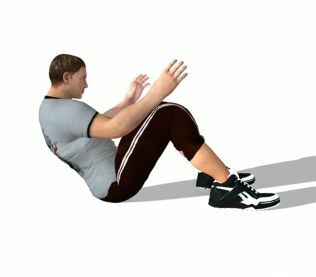 This exercise helps you to build strength in your core, as well as in your upper and lower body so it's a good full body work out. Just always keep mind that the key for this exercise is proper form. 1. Get into a push up position on the floor. Now, bend your elbows at about ninety (90) degrees and rest your weight on your forearms. 2. Your elbows should be directly beneath your shoulders, and your body should form a straight line from your head to your feet. Then, hold that proper form as long as you can.